Quad Core i5! 1 Year Warranty Fast Shipping! 1 Year Warranty! Ships Fast! Great Cosmetic Condition! Windows 10 is installed so this Dell is ready right out of the box. Fast Intel Core i3-2100! Free Shipping. This computer has 4. 500gb Hard Drive. Everything has been updated. You simply have to start using the unit! Fast Core i5! 1 Year Warranty! Great Condition! Full 1 Year Warranty! Fast Shipping! AMD Phenom 9750 Quad Core @2.4Ghz Processor. 1TB Hard Drive. When you receive an item from SESOTC, it will perform as described. actual unit. Photos are of the. Does not include Install Disk. Customize Your Own PC! 1 Year Warranty! Fast Shipping! Processer and 8GB. of Ram,250GB. and power cord. This warranty covers any hardware failure i.e. Hard drive, CD Rom, Com ports but not limited to are 100% covered. This warranty does not cover any third party software the user installs which could disable any hardware. 120GB SSD (Solid State Drive - for speed). 1TB Hard Drive (Hard Drive - for large storage)Optical Drive. Power cord. What's Included. 1x DisplayPort. Audio: 7.1 Channel. 2 x USB 2.0. 6 x USB 3.1. Dual Band (5 GHz,2.4 GHz) Wifi Card. Lightly used fresh Custom Built Gaming Computer. 8-core processor AMD Fx 8350. Windows 10 professional. 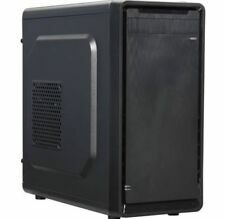 NZXT 410 Case. Our technicians specialize in HP models ensuring that your unit will arrive on your doorstep with quality components and performing at optimal efficiency. Model: EliteDesk 800 G1. Form Factor USDT. Solid State Drives 256GB SSD. Trending at $350.00eBay determines this price through a machine learned model of the product's sale prices within the last 90 days. Condition is Used. THE SHUTTLE WEIGHS 20 LBS. Upgraded with Samsung SSHD 256 GB - now 2 drives!!! Fast 4th Gen i5! 1 Year Warranty! Fast Ship! HP ELITE 8200 Pro CORE i7 3.40GHZ. Wifi READY. DESKTOP COMPUTER. WINDOWS 10 hp 64bit installed NEW COA. Genuine Microsoft Windows software preinstalled. We professionally refurbish computers to Microsoft's strict standards. 120gb Solid State Drive. and 1TB Storage Hard Drive. 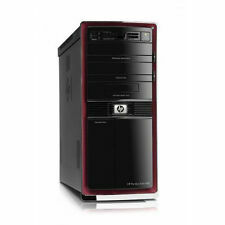 HP 8200 Elite Desktop Computer PC Tower. 8GB Ram DDR3. Genuine Microsoft Windows software preinstalled. Windows installation CD and new COA included. I7 2600 Quad 3.40GHz 8GB. 1TB HARD DRIVE. FAST Dell Optiplex 790. OptiPlex 790 TOWERCOMPUTER Network Card DEDICATED DVI. Tower PC COMPUTER. Windows 10 HP 64 installed. Dell Primary Drive or Optical Drive. (if applicable). We love what we do and we do it with integrity. We are accountable, and approachable. We'd love to hear about it. Having an issue?. We want to find the solution. We will make the situation right, or help you to the best of our ability. Amazing Desktop PC. Great for gamers, and just casual computer users. Easy to run, Easy to use. We refurbish our computers based on functionality. Our refurbished computers may have signs of normal usage scratching to the case from being transported by pallet in bulk. Dell E6420 Laptop Computer. EliteDesk HP EliteDesk 800 G1 DM. Ultra Small Form Factor (USFF). WiFi,Wired. It's made to last and it's truly the largest difference between the stuff you "can get" and the stuff you must have to change the way you compute. NO monitor, NO keyboard, NO mouse. All recent Windows updates already installed. I5 Quad Core Machine 3.3/3.4Ghz Turbo With RX 570 4GB Graphics Card. 240GB SSD Standard. 240GB SSD ( boots in 20-25 seconds or so ). Apex Legends. Misc RX 570 4GB Vram GPU. 4x2GB or 2x4gb = 8GB Total (ask for Led ram pricing, 16gb, other ram add ons). 1TB Hard Drive installed with Windows 10 HP 64. - Dell 9010 Optiplex. 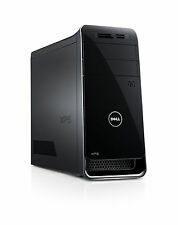 - Dell OEM Installation CDs Included Genuine Microsoft Windows software preinstalled. Don't be fooled by Original Manufacturer (ex. ). Trending at $299.95eBay determines this price through a machine learned model of the product's sale prices within the last 90 days. Intel Quad Core I5-2400! Dual Video Out! 2TB 5,400RPM Hard Drive. 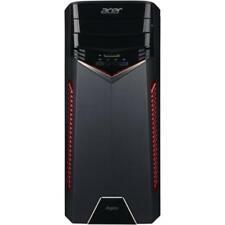 Acer Aspire ATC-710-UR61 Desktop Computer, Black. Free your creativity! Even demanding tasks like video editing and compiling photo albums are easy with the Aspire ATC-710-UR61 desktop computer providing multitasking performance and easy expandability. 512GB SSD 1TB 7200 rpm SATA (6.0 Gb/sec) - Hard Drive. 8GB dedicated Nvidia GeForceGTX 1070 GDDR5 [DL DVI-I, HDMI, DP, DP, DP]. 16GB DDR4-2400MHz SDRAM [4 DIMMs] - 64GB Max. USB 3.1 operates at 10 Gb/s, USB 3.0 operates at 5 Gb/s, and USB 2.0 operates at 480 Mb/s. 512GB Solid State Drive (SSD). HP Envy Series 750-530qd Desktop PC. HP Envy 750-530QD. HP keyboard and mouse. HP sealed box. Manufacturer (HP) refurbished in. One Ethernet port. Gigabit Ethernet 10/100/1000 Mb/s EXTERNAL PORTS. 1 Year Warranty! Microsoft Registered Refurbished! PROCESSOR (CPU):AMD Ryzen 2200G APU (3.7GHZ Turbo) Quad Core APU w/ NEW AMD Wraith Cooler. Ryzen Upgrade Path. Solid State Drive: 120GB Class SATA III 6.0 GBP/s Solid State Drive. FREE HDMI 1.4 CABLE INCLUDED, Free WIFI N Adapter. I5 2400 Quad 3.10GHz 8GB Ram 1TB Hard DriveCD/RW DVD-ROM Windows 10 hp 64 installed. FAST Dell Optiplex 990. OptiPlex 990PC DESKTOP COMPUTER Network Card (Keyboard Mouse included Wifi). PC DESKTOP COMPUTER. 160GB Unit. Fast Dell OptiPlex 780 PC COMPUTER DESKTOP. OptiPlex 780 PC COMPUTER DESKTOP Network Card Dell Primary Drive or Optical Drive INCLUDES WINDOW 10 HP INSTALLATION DISK. WINDOW 10 HP. Don't be fooled by Original Manufacturer (ex. ). GPU (Graphics Processing Unit, Video card):APU Discrete DirectX 12 Graphics AMD Radeon R7 GCN 384 Shaders / 900 MHZ ! PROCESSOR (CPU):AMD A8 9600 "Bristol Ridge" APU 3.4 GHZ Turbo Quad Core APU w/ AMD QUIET Cooler. Dell 7010 SFF PC Intel Core i5 Win 10 hp 64 120GB SSD 3.20ghz 8gb+MONITOR 27"
Dell 9010 TOWER i7 3770 3.40 8GB 1TB SSD Win 10 PRO 64 GT710 2GB+ MONITOR 27"